Dental crowns are made and customized in size, shape and color to match your natural teeth. This is done to restore full functionality to your teeth and to provide optimal cosmetic results for your smile. At Springs Dentistry, we utilize CEREC technology to create and produce beautiful, all-porcelain crowns. With CEREC, the restorations are made in a SINGLE VISIT! Contact our office today to learn more about single visit crowns. A dental filling is used to repair a tooth that is affected by decay, cracks, fractures and so forth. In just one dental appointment, the decayed or affected portion of the tooth will be removed, cleaned and filled. Make your filling nearly invisible with composite fillings. Cosmetic or composite fillings can be closely matched to the color of existing teeth and be shaped to a near perfect tooth. These are ideal for any tooth that can be easily seen. Laugh again with the confidence that nobody will know you have fillings. Dental bridges comprise of two dental crowns which go over the teeth, adjacent to the gap. Between the dental crowns, we place an artificial tooth, known as a pontic. This tooth will look and function like a natural tooth. Best of all, when you smile no one will know you have a dental appliance! We are here to serve. Please give us a call for all of your dental emergencies. Your gums must be healthy to have good teeth. Periodontics deals with the gums, tissues and bones that support the teeth. It is preventive in nature and is mainly concerned with preventing and treating periodontal or gum disease. We are committed to maintaining our patients’ overall oral health. We will work with you to help you achieve lasting health for your teeth and gums. Aside from the risk of losing your permanent teeth, there are many health risks that are associated with periodontal disease. Untreated periodontal disease is dangerous. That is why we make an effort to prevent the disease and to save you from unnecessary costs of periodontal disease. Contact us if you have any questions about periodontal disease. When the inner nerve of a tooth becomes affected by decay or infection root canal therapy may be required to restore the tooth. The tooth may become extremely sensitive to both pressure and temperature and intense pain can be expected. No symptoms may be present in the initial stages. However, in the advanced stages of decay and infection an abscess will form. When confronting this type of decay or infection, the patient has two options: pull the affected tooth or save the tooth through root canal therapy. When extracting a decayed or infected tooth, significant and costly dental problems will arise for adjacent teeth. In the end, tooth extraction may cause more problems than it will solve. Root canal therapy is a much more desirable alternative, as it will provide full functionality to the tooth and mouth and will not cause any future problems with adjacent teeth. Root canal therapy restoration will usually last a lifetime. It will provide full functionality back to your tooth and mouth.  We offer deep cleaning services at our practice, including scaling and root planing. Scaling is the removal of the dental tartar from the tooth surface. Root planing is the process of smoothing the root surfaces and removing the infected tooth structure. These measures help fight gingivitis, a generative disease which, if left untreated, will cause significant tooth and gum deterioration. Plaque and tartar on the teeth provide an environment in which bacteria thrive and multiply, resulting in inflamed and bleeding gums. At this early stage, gingivitis can be easily treated by a hygienist with scaling and polishing. If left untreated, the condition will progress and the roots will need planing. for complete comfort. Deep scaling and root planing are usually broken down into one section of the mouth per appointment. This allows for adequate healing time, and reduces the time for each appointment. Dental implants are used to replace single or multiple missing teeth. They serve as a replacement for the root of the tooth, restoring strength, stability, resilience and support to the mouth and jawbone. The implants are surgically attached to the upper and lower jawbone and crowns are then attached to the implant abutments. When attached, an implant will look and feel like a natural tooth and will enhance and restore your smile. If you should ever break or damage the crown, the crown may be replaced or repaired without disruption to the implant abutment. A denture is a removable dental appliance created to replace missing teeth. Dentures are an important part of keeping the teeth and mouth in frame when one or more teeth are missing. Dentures will give dental support and functionality to your smile. There are two types of dentures: complete and partial. Complete dentures are for patients who are missing all of their teeth, while partial dentures will only fill the spaces for missing teeth along an arch. When missing any teeth, partial dentures play an important role in preventing other teeth from shifting position in the mouth. For more stability, dentures may be used in combination with dental implants. The implants are attached to the jawbone and the denture then snaps onto the implant. This combination results in an a more secure appliance that a standard denture at a cost that is often less than dental implants. Once your permanent teeth are in, there may be some instances where the tooth (or teeth) may need to be extracted. 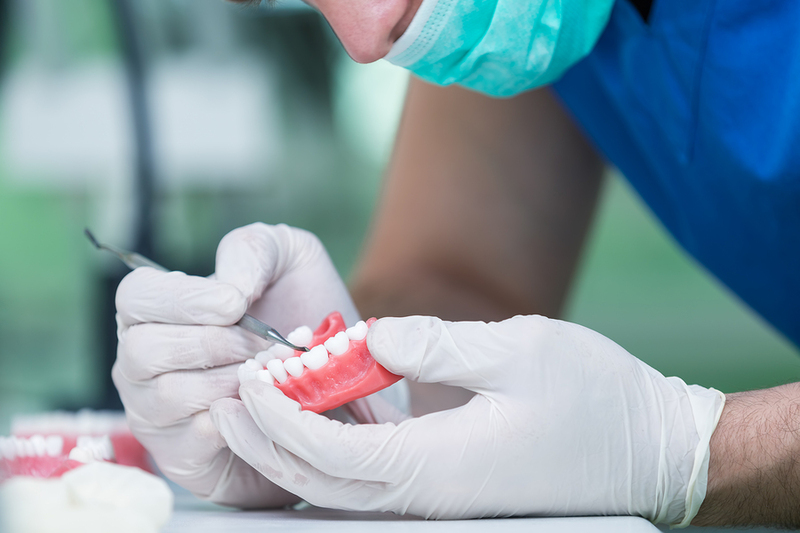 These cases need to be properly diagnosed by a professional dentist—any and all alternatives should be discussed when considering tooth extraction. Reasons for tooth extraction may vary, but often include one or more of the following: Preparation of orthodontia or cosmetics Infection Risk of infection Advanced periodontal disease Advanced decay In most cases, the extraction of the tooth is the last resort in maintaining dental health. In order to keep your teeth healthy and functional, maintain a good oral hygiene routine at home and consistently visit the dentist. 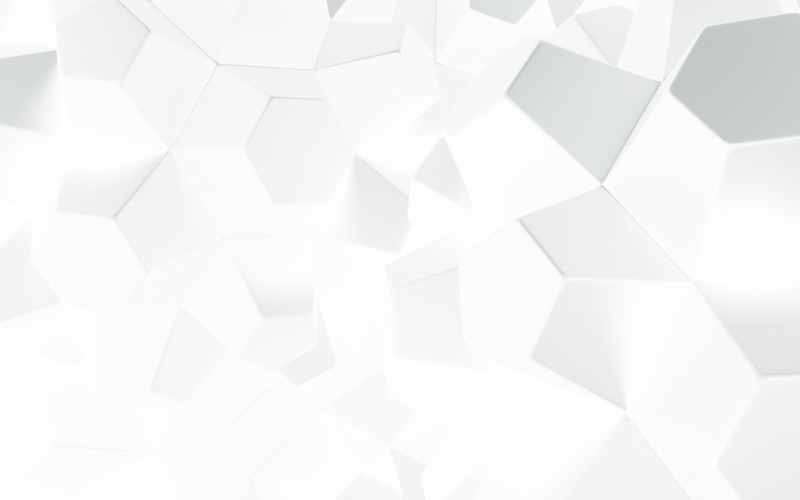 Contact our office if you have any questions about extractions. Dental implants are a solution for replacing missing teeth. They are made to give you the strength, stability and resilience of your natural teeth. They serve as a replacement for the root of the tooth, lending functionality and support to your jawbone. 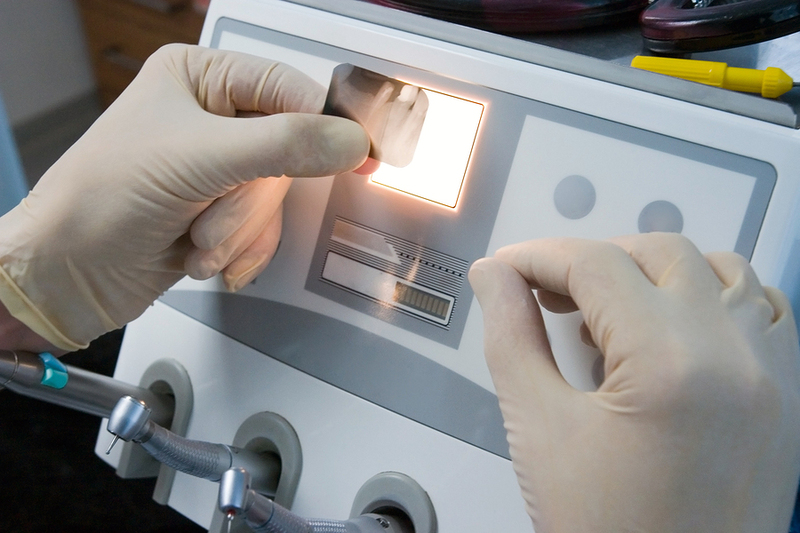 Unfortunately, sometimes an implant may fracture, become damaged, or otherwise deteriorate. This can be due to a number of different conditions and accidents. We understand that this can be troublesome and difficult to deal with. Because of this, in our practice we have the ability to correct and restore old restorations, including implants. We will take these old restorations and re-create them to bring your mouth and teeth back to full functionality. There is no need to persist with broken or old restorations and implants. We can fix your implants and make them stronger and more durable than ever. Contact our office today to learn more about implant restoration. Oral surgery may be needed when significant damage occurs that requires corrective action for extreme dental problems or damage to the mouth, teeth and/or jaw. When extreme pain and decay have occurred, it’s easy to believe that you are beyond dental repair. Oral surgery treatments are here to repair dental problems that most people would think are beyond dental treatment. We’re glad to let you know that it’s never too late to restore full functionality and dental health to your mouth. 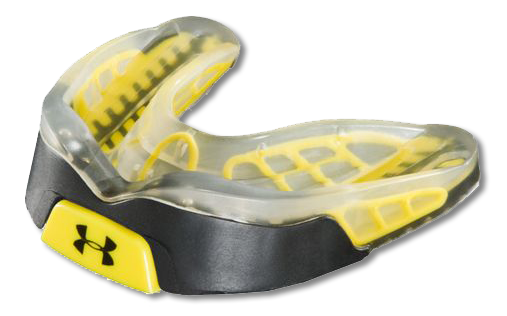 At Springs Dentistry, we offer Under Armour products, the trusted name in mouthguards. A sports guard is a device worn over the teeth providing protection to athletes by reducing the risk of damage from blows to the jaw or mouth. With this added security, athletes in any sport can perform at their maximum potential. Sports guards help athletes avoid the negative effects of teeth clenching. These effects inhibit the body’s full performance ability and include undue pressure on the jaw and its joints and the production of stress hormones. Sports guards are designed to support the performance of athletes at all levels in any sport. At our office, we will customize each sports guard to fit the dimensions of your individual teeth. After we take an impression of your mouth and bite, we can begin creating your sports guard so it fits your teeth precisely, allowing for exceptional protection when you’re in the game.